With summer approaching, parents are busy enrolling their little ones into summer programs and camps. While parents are busy filling out questionnaires and paperwork, school kids are excited at the opportunity for arts and crafts, sports, and time away from desks and tests. Backpacks and lunchboxes are an integral part of summer camp. Why not delight your child this year with a backpack and lunchbox set that they will absolutely love? Skiphop is the headquarters for anything baby and child. The brand offers designer diaper bags, developmental toys, zoo packs, bath toys, and nursery and crib decor. Skiphop's products are adorable and will instantly get you many compliments. Your child will surely love to play with their turtle island bath playset the next time they take a bath. If you're expecting a new baby, why not outfit their nursery and crib with a treetop friends or spring birdie themed room? Skiphop is your go-to brand for making sure all of your kiddy needs are covered. When I was a small child, I absolutely loved using a character or cartoon lunchbox. I remember clearly having a red plastic Garfield one in kinder garden that I thought was so cool. Long gone are the days of tin or plastic lunchboxes. The lunch gods at Skiphop have stepped up their game and brought you the most adorable backpacks and matching lunchboxes that you've ever seen. How does having a hedgehog, bee, fox, frog, butterfly, cat, dog, and any other animal you can think of in a matching lunchbox and backpack set sound to your child? They will be so excited and proud of it! One set in particular that I'd like to tell you about is the Hedgehog lunchie and backpack set. Yes, Yes I know I'm cute. My main goal is to have you finish all of your lunch though. How cute is this lunchbox?! This soft bag has a roomy main compartment that holds sandwiches, snacks, drinks and more. Feel confident sending your son or daughter to summer camp with a packed lunch and snacks for later that will keep them full. They will be so excited to show their friends their lunchbox too! The insulated wipe-clean interior keeps food and drinks cold, plus an inside mesh pocket holds lunch money, an ice-pack or utensils. I will keep your crayons, change of clothes, and swimsuit for swimming in the lake safe. My spikes won't hurt them. Go ahead and put the lunchbox inside the backpack when not in use. It's a perfect storage option for it. This adorable bag holds all of the supplies your preschooler might need for a busy day of summer fun. The mesh side pocket adjusts to fit a juice box, sippy cup, or water bottle. The front pouch is perfect snacks and includes extra pockets for pencils and other necessities. Comfy padded straps keep your little one's shoulders from hurting too. As you can see, this is one adorable set your child will instantly love. All you'll have to do is figure out what to pack them for lunch! My daughter would love this because it is just so stinking cute! My child would love this because he adores anything animal themed! Because it is so adorably cute! We love hedgehogs! My daughter thinks this is the cutest thing ever! My youngest daughter would love this because it's so cute and features an animal. She's a true animal lover! Thanks for the chance to win! She loves carrying around little purses and things around. She would love this backpack! I think she would love this because it is a cute character and way better than the one she has now. My grandson would like it because it would be just his size. my daughter would look so cute with this! and she loves all things lil furry animals! My grandson loves to bring his own lunch to the babysitters so he can be just like his big sister when she takes her lunch to school. 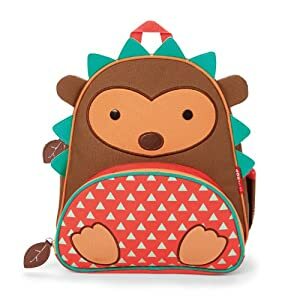 He does not have a special lunch bag of his own and I think he would be love this one because it is cute and would be HIS. My son would love this and get a lot of use out of it. my daughter is obsessed with all things animals she would love this! I think both my daughters would be fighting because they are absolutely adorable and they love animals. My sons favorite animal is hedgehogs! My daughter would love this because she loves all kinds of animals and critters and this is so adorable! My daughter would love this because it is so cute & she loves all cute animals. My daughter loves hedgehogs, she would love this! cute! Because she loves hedgehogs and matching sets of anything! My granddaughter would love this because she saw a picture of a hedgehog and wants one for a pet! They would love this because it is so cute! Because it is absolutely adorable! My niece would think this is the cutest. My son would love to use this as his backpack when riding on his skateboard. My son would love to use this as his backpack when he is riding on his skateboard. They would since it's sweet! Oh I would love to win this for Carter! He starts preschool in the fall and this would be perfect for him to take to school each day! My daughter loves animals and would love this. Because my grandson loves hedgies. My niece Kaylee would love this backpack. It's so cute and adorable, she would be so happy to have this for school or summer day camp. My son will love this because it is super cute and because he loves having things like his odler brother and sister. He loves to put things in bags and surprise me with them. My daughter would love this because the hedgehog is adorable and she loves all animals! My daughter would love this because it is such a unique design. She would love showing her friends. My daughter would love this to keep snacks, crayons, a coloring book and her blankie in. She loves to carry things with her everywhere she goes, she'd love to have a backpack to carry them around it and it's adorable! My granddaughter collects hedgehog stuffed animals and I know she would be delighted for grandma to win this! My younger cousin would ove this! She loves all things cute! My niece loves Skip Hop backpacks! I've just never been able to buy her one. My daughter would love this because its super cute, she loves animals and its easy for her to carry her snacks/lunch and her favorite small toy in. 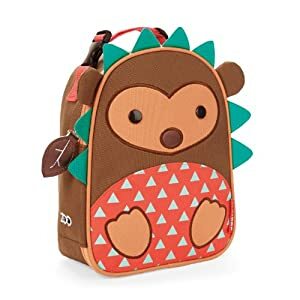 My child would love this backpack because she loves Hedgehogs and it is a very cute backpack for her to use at school next year. My son has started to notice that his dad wears a backpack sometimes. He would love to have his own. My nephew loves animals and this is cute! our son would love this because it is so unique and he likes to stand out. My son would love this because it is adorable and he in only 3, so it will make him feel like a big boy. My daughter likes unusual and different things so she would love this, plus she loves all animals!! This is really cute! My daughter would love it to pack snacks or toys in while on the go. My daughter would love this backpack as she loves animals and this one is so adorable!